We all enter medical school as talented and successful students with a unique set of attributes. As we progress through a rigorous undergraduate and post graduate apprenticeship, our exposure to people and challenging clinical experiences forges new attributes which enhance our personal and professional development. We acquire wisdom, confidence and deeper emotional intelligence and learn about leadership as well as the need for self-reliance. We also learn other things too. We learn that medicine is collegiate and very competitive. We are told that our apprenticeship will be tough and that difficult cases and traumatic situations build resilience and should not necessarily require time off or emotional support. It becomes clear that illness aligns with weakness and that sick days are potentially career jeopardising. We learn that turning up to work when unwell to support the roster is expected and even accepted. We discover that managing our own health issues is possible through access to informal corridor consultations with colleagues, self-medication, self-investigation and self-referral. This can be compounded by a dismissive attitude towards general practice, fear and misunderstanding of mandatory notification and a strong sense of stigma surrounding mental illness. Is it any wonder that, in this culture a self-reliant, career-conscious, unwell young doctor working in a competitive environment might experience multiple barriers to formal health care and feel isolated from professional support and uncertain about where to go for confidential assistance? The choice between risking exposure and disclosure of physical or mental distress versus the convenience, privacy and safety of self-treatment and covert self-management is an easy one! This is the beginning of the problem. It is compounded when young doctors start to carry an increasing and unrelieved burden. We all carry around with us an invisible wheelbarrow in which we carry a pile of bricks which represent our own problems and those of others who dump them on us every day. Patients love doing it! Colleagues do it too, as do administrators and others in our personal and professional lives. Saying “no” to requests for help is difficult for a self-sacrificing doctor or a junior doctor who is keen to impress but unable to control their working environment. The wheelbarrow begins to fill with bricks. The burden starts to build. The burden takes many forms. The clinical burden is a result of responsibility for the care of very ill people. This intensifies in the intern year and is anxiety-provoking, especially for the obsessional young doctor who lacks the time to be thorough. The burden of a poor patient outcome or death is a heavy brick in the barrow of a young doctor. A medico-legal burden may emerge and is almost universally distressing, especially for a young doctor whose career has just begun. The personal burden of a mental illness may pre-exist in medical school or emerge in the early postgraduate years as a professional and academic workload and loss of time for social and non-medical interests takes its toll. An academic burden emerges from failure to access a place in a training programme or failure in the Fellowship examination. Academic failure of this sort can be very distressing and even catastrophic for medical graduates who are perennially successful and unaccustomed to failure. Failure can trigger a social burden of guilt, shame and loss of face with depression and even suicidal ideation. A career burden can emerge whereby an unhappy doctor feels trapped in the wrong training program or unable to pass Fellowship and unable to take a break from medicine despite ten uninterrupted years of study and commitment. A significant debt burden can exist from the intern year which can impact upon lifestyle and their career choice. The social burden of meeting the high expectations of others can be very significant, especially those whose families have invested time and money in a young doctor’s education and yearn for success. Doctors feel obliged to accept these burdens as a normal part of professional life. They may be unable to refuse or delegate them and consequently, they accumulate in the ‘barrow with little opportunity to offload them. Doctors do their best to privately manage these things in their own way, by themselves, whilst cleverly hiding their distress. The realisation that there is no alternative but to handle this on their own can be overwhelming. All it takes is one more brick, one more incident such as academic failure or a fatal clinical outcome for a doctor to decide that the additional burden is just too much to carry. This point can be reached during medical school, DIT years, mid-career or beyond. Recent examples illustrate this only too well. Suicide is a sentinel event. It demands a profession-wide response but the medical profession is not one big ‘pond’ where the impact of a single event sends ripples across the profession. Rather, we work in a series of disconnected ponds; hospitals, practices and workplaces and a range of professional organisations, which can and do respond in different ways. Medical schools might recognise the importance of resilience and dignified exit pathways from medicine. Tertiary and rural hospitals might recognise the importance of peer support and mandate healthy and safe working hours and encourage pre-employment GP medical assessments for junior doctors. Colleges might provide flexible training programs and ways to recognise the expertise of unsuccessful Fellowship candidates. Private practices might prioritise more generous leave and regular annual ‘medicals’ for doctors in their practice, as well as providing healthy food in the practice and a plan to manage unwell colleagues. Balint groups, rural doctor retreats, colleague-to colleague phone support services are some other examples of ways to allow doctors to offload some of the burden that inevitably accumulates over time. 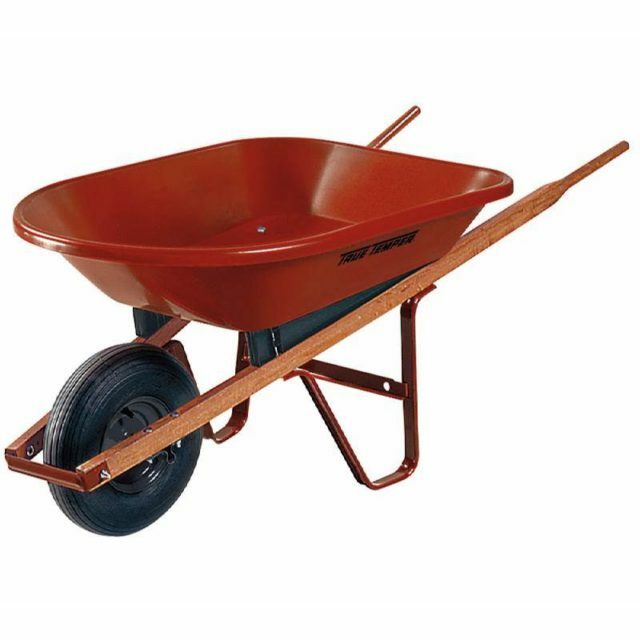 We all carry our wheelbarrow of bricks around with us. Some doctors carry an exceptional but unsustainable load. It is not always easy to detect those colleagues whose barrows have become excessively overloaded, as they do in a stepwise fashion over time. It is in everyone’s interest to regularly discuss the burdens they carry with colleagues or professionals from time to time. This is preventive and important and must become not only the professional norm but an obligation of those who work with, train, supervise and employ doctors. We can use the bricks we carry to build the foundation of a lasting solution for the profession. "The wheelbarrow begins to fill with bricks. The burden starts to build."